Last time we talked Holly wood Studios, Dorthy found there was no place like home on The Great Movie Ride. Today we’ll learn what the Hall of Fame Plaza is and eat Italian at Mama Melrose’s Ristorante Italiano. 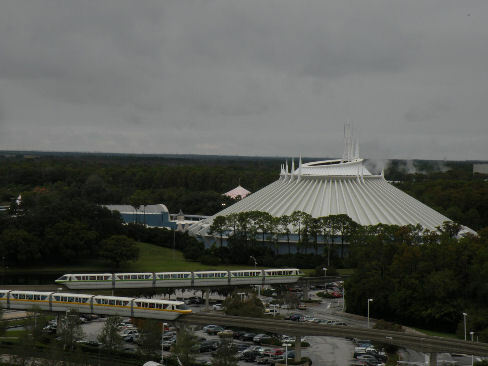 This isn’t a big attraction. More of a gallery you walk through on your way to attractions but it’s another great photo opportunity. 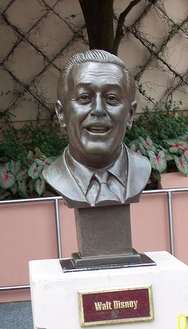 Get your picture with busts of Lucille Ball, Oprah, or my favorite, Walt Disney. The Indiana Jones movies are a part of my youth. I fondly remember going to them with my father and brother. So this is nostalgic event for me. I know what to expect but I like it that way. Indy is timeless and I still wish I was brave enough to be one of the volunteers from the audience. I think I love Hollywood Studios because so much of it reminds me of my childhood. This is another example. The Muppet Show was a weekly event at our house. I love the combination of 3D, in-theather Muppets and the real life effects (bubbles). Some may feel that this is dated but with a new Muppet movie coming out this year I’m think what’s old is new again. Honey, I Shrunk the Kids Movie Set Adventure is a playground (with not much room) so why am I interested? I want some good photo ops! I just bought a new camera and twenty foot tall blades of grass, giant ants, and huge legos will be the perfect backdrop…for my husband. This show can be hot in the summer. This show can smell like gas in the summer. This show can not be boring. I used to avoid it because of the first two but I’m ready to try it again. Being a huge movie fan I find seeing how the driving stunts work very interesting. It’s amazing how different things look in person rather than on a movie screen! It’s also a long show, so if you need a place to rest your wheels, here’s a place to do it. My husband loves this place. I love the ambience. He love the antipasto. I love the cool pictures on the wall. He could pick anything from the menu. I have to special order. We’ve eaten here on our last two trips so I was planning a break but this may have to go back on the list. And yes, it does feel like all we do is eat! Next time test your knowledge… Do you know what Narnia is? And be ready to find out how big that blue sorcerer’s hat is. Maybe I’ll be brave enough or more than likely I’ll be brave enough to volunteer my husband! Hall of Fame Plaza isn’t much, that’s probably why you missed it. I just want the chance to get a picture with Walt.